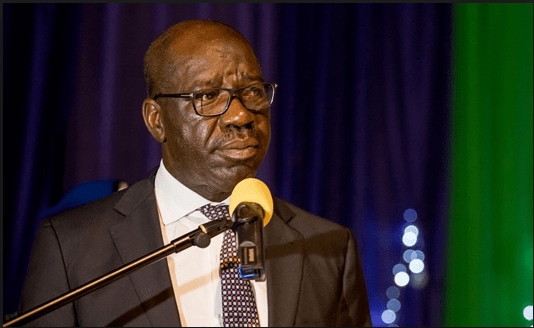 The Edo State Government has partnered with the Central Bank of Nigeria (CBN) to reach the unbanked population and ease access to financial services for residents in the state, with an 80 percent target set for financial inclusion in the country by the year 2020. This was disclosed yesterday by stakeholders in the financial services sector in the state during the inaugural meeting of Financial Inclusion State Steering Committee (FISSCO), held at the Government House, Benin City. Secretary to the Edo State Government (SSG), Osarodion Ogie Esq., stressed that the state was committed to reducing the exclusion rate by bringing financial services to the unbanked population as well as the rural poor. He added that targeting those in semi-urban and rural areas would ensure inclusive growth, noting that such services will ultimately impact on livelihoods of Edo people and residents in far-flung communities. He expressed appreciation to the CBN for enlisting the state as a partner in its drive to address the financial exclusion, urging for collaboration among stakeholders including financial service providers, government ministries, departments and agencies (MDAs) and local government councils. Ogie assured of government’s commitment to the success of the initiative. Chairman of the Committee and Branch Controller, CBN, Edo State, Renner David Jumbo, said the Nigerian National Financial Inclusion Strategy (NFIS) is aimed at reducing the percentage of adult Nigerians excluded from access to financial services from 46.3 percent in 2010 to 20 percent in 2020. He said the committee is charged to develop action plans that will accelerate financial inclusion at the grassroots, including cities, towns and villages. Members of the Committee are drawn from the State Government, Deposit Money Banks, Insurance Service Providers, Capital Market Operators, Mobile Money Operators and Development Finance Institutions.